If you like to do your banking online, you need to be secure and a good VPN is an essential tool. In this guide, we will explain why a VPN is so important and suggest our top 5 VPNs for you to use. 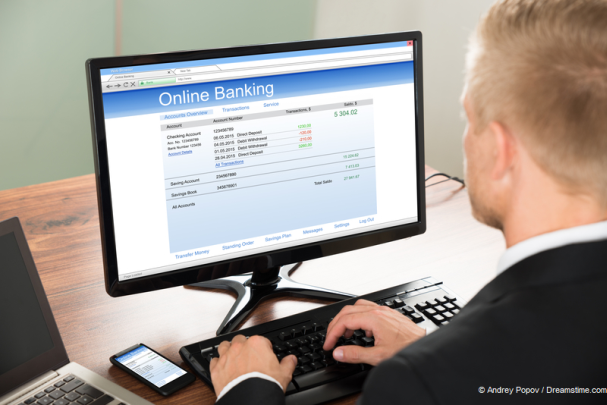 Online banking has quite simply revolutionised the way we manage our money. These days we do not have to traipse down to the local branch in all weathers and stand in long queues to pay our bills or move our money around. It can all be done on our computer and even our smartphone or tablet. The time-saved and convenience afforded to us by online banking is a no-brainer for most, but it does not come without risk. Where there is money, there are thieves and online banking is a prime target for hackers. Banks try to mitigate this by using various security tools, but the fact is that these are only effective up to a certain point. With banking apps now all the rage too, people are increasingly wanting to manage their money on the move. This carries additional security risks, especially if using an insecure public Wi-Fi network. But a VPN offers a solution. When connecting to the internet via a VPN, everything you online is encrypted and therefore secure. Even if a hacker has compromised the Wi-Fi network you are using, all of your data is encrypted and therefore unintelligible to him. It is the perfect solution. The only difficulty is choosing which VPN to use. But we have done the hard work for you there too. Here is our pick of the top 5 VPNs for online banking. IPVanish is our top-rated VPN provider for online banking for a variety of reasons. Firstly, their security is second-to-none with 256-bit AES Encryption as standard across their network, which is perfect for online banking. They have dedicated apps for just about every device imaginable and with up to 5 simultaneous connections permitted with every subscription, you can use IPVanish on any device you might want to use with online banking. Their privacy settings are second-to-none too, with no user logs retained, so everything you do online is sure to remain private. And with fast connection speeds and 700 servers to choose from across 60 countries, it is ideal for online banking right around the world. ExpressVPN is a well-established name in the VPN market which has developed a reputation for offering extremely fast connections. Our testing has born that out but also identified that their security settings are among the most robust around too. In addition, they have excellent privacy provisions too plus a huge range of servers available, which stretches across 94 countries. ExoressVPN is priced a little higher than their direct competitors, but they do offer users a long money-back guarantee so you have plenty of time to see if they are the right provider for you. They only offer three simultaneous connections, but again cover most platforms, which should be sufficient for the majority of online banking to cover off all of their devices. For online banking users who want additional security features and a cost-effective VPN service, NordVPN might just be the one for you. In addition to strong standard encryption provisions and great privacy settings, NordVPN offer features such as ‘Double-VPN’ which redirects your connection through two servers for additional security and ‘Tor-over-VPN’ which uses the TOR network as well as a VPN for extra security. NordVPN over a decent selection of servers across 58 separate countries and a huge 6 simultaneous connections with each subscription. Their prices are very reasonable too. The only potential drawback in their connection speeds. While some of the servers are lightning fast, others are just average, and this can get frustrating sometimes. VPN.ac is a relatively small provider but offer some of the best security, speeds, and consistency we have seen. Their encryption options are superb with a great selection of advanced features to play with too Their privacy provisions can’t be faulted too and they offer 6 simultaneous connections, which means you can secure all of your devices. Their sever location list is a little more limited, but does cover all the major locations so will be ok for most online banking users. There is also a great scope to customise VPN.ac, which means for more experienced users, VPN.ac offer a compelling product. 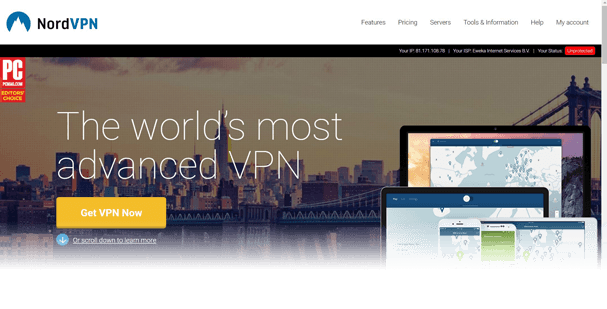 Check out our 2017 VPN.ac review. With prices starting from just $3.33 per month, there is no doubt PrivateInternetAccess (PIA) is the cheapest provider on this list. And despite the low prices, their standard of service is pretty decent too. Their security and privacy settings are more than adequate and while they only have a modest network of servers available it will be sufficient for the majority of users. They are popular with their users too, with lots of positive feedback coming in about them. The only major complaint relates to connection speeds which are not the fastest but should be more than sufficient for online banking and basic web browsing needs. The crucial factors that online banking users need from their VPN provider are strong security settings, good privacy provisions, and the ability to use the service on any device they want to manage their money on. A lot of VPN providers on the market would claim to offer this, but the reality is not all are up to the task. But the 5 VPN provides we have recommended in this guide are some of the very best on the market today. All of them tick the necessary boxes to be suitable for use when doing your banking online. Our top pick is IPVanish, but no matter which one you choose, you can be sure that your online banking will be secure, wherever you are.